equal time. We don’t want pluralism. We want theocracy. Not long ago, an Associated Press story caught my eye. Texas governor Rick Perry signed two bills into law, one opposing gay marriage and the other restricting abortion. Rather than conducting the ceremonial signing in a state office, flanked by officials or staff, he stationed himself in the gymnasium of an Evangelical school, with Christian symbols in the background and an out-of-state evangelist at his side. Shouts of "amen" rose from the audience. The afternoon after I read about Perry’s bold fusion of Christian symbols and governmental powers, I went to my hair dresser, Ann. While Ann worked, she told me a story. The night before, she had gone to a movie with an old friend, Grace. Afterward, over coffee, Grace expressed how worried she was about Ann going to hell. Grace insisted that the only way out of this fate was to be saved by the blood of Jesus Christ. "I told her that I just couldn’t believe that stuff," said Ann. "I didn’t want to get in a fight, but she wouldn’t stop. Finally I said that I had to leave because I needed to get up early. But I was so upset that I didn’t get much sleep afterwards. I can’t believe the same things she does, but I get scared that maybe something is wrong with me. I don’t want this to wreck our friendship, but I don’t know what to say." The questions in this book have never been more relevant. When I was growing up in Arizona, most of my friends, neighbors, and role models shared my Evangelical beliefs, and when they did not, we didn’t talk about it. When I was in graduate school working on a degree in psychology, most of my fellow students and professors shared my religious misgivings, but we didn’t talk much about that either. When I settled in the Northwest, I also settled into a posture of "don’t ask, don’t tell" with regard to spiritual questions. Religion had little place in conversations, whether among colleagues or friends. In this, I was not alone. Except in churches and religious forums, the general consensus in our pluralistic society during the latter part of the twentieth century was to keep private faith out of social conversation and public debate. Since the year 2000, something has changed. Religious beliefs and moral values are now discussed in every form of mass media. They have become topics of conversation among even casual acquaintances. George Bush and the religious right, for better or for worse, have reopened a conversation in America, a conversation about faith and morality and the meaning of Christianity. This conversation has been driven by Evangelicals, and consequently, much of the debate has been about Evangelicalism itself. Led by organizations that focus more on advocacy than theology and emboldened by increasing political clout, Evangelicals have come out of the closet. In November 2004, the religious right claimed credit for putting George Bush back in office and demanded payback in the form of laws that advanced their social agenda: funding for faith-based social services; restrictions on reproductive education, contraception, and abortion; bans on civil unions for gays; and revisions in science curricula to make allowance for the biblical creation story. The media sat up and took notice. Articles began cropping up in the mainstream press about "dominionism," the belief that Christians have a moral responsibility to run the country (and ultimately the world) according to biblically derived principles of governance. Conservationists bewailed "end-times" theology, which predicts the impending return of Jesus Christ, making the health of the planet a matter of indifference for some believers. Recently I had lunch with a small group of people who are trying to build public policies that protect the poor, the ill, and children—those whom Jesus called "the least of these." During the conversation, one person, a young attorney, announced that he was Evangelical, adding for emphasis that he prayed to Jesus every day. No one else had announced his or her spiritual beliefs, and yet nobody flinched at the proclamation or thought it off topic. The Evangelical said that if the group wanted to succeed in helping vulnerable populations, they needed to engage others who shared his beliefs. All at the table agreed. Why could the young attorney make his announcement, confident that it would be well received? For two reasons. First, although he may not have been among other Evangelicals, in virtually any gathering in the United States it is safe to assume that the majority of people present are people of faith. Second, thanks to the prominent role of Evangelicals in the press and in public life, non-Evangelicals are increasingly aware of the growth in Evangelical religion and are anxious to understand how this growth may affect their own communities, deeply held values, and spiritual priorities. Newspaper headlines, evangelists, and astute politicians may talk about a secular assault on religion, but the truth is that the United States is more religious than any other developed nation. In a recent poll, ninety-eight percent of Americans said they believe in God (in contrast to about fifty percent of Germans). In U.S. census data, less than one half of one percent self identify as atheist, and another five percent or so call themselves agnostic. About eighty-five percent of Americans identify themselves as Christian and forty to fifty percent call themselves born again or Evangelical. A secular assault on religion? Politicians know better. They accuse their opponents of shunning faith and religious values precisely because Americans across the political spectrum are virtually all people of faith in one form or another. The strong inclination of Americans toward religious belief is neither new nor news. Non-Christians have always been a small minority of the American population and non-theists an even smaller minority. The change that has occurred in recent decades has been primarily a shift within Christianity itself. For over thirty years, while enrollment in traditional denominations has been declining, Evangelicalism has been quietly gaining ground, offering a very clear set of core beliefs and behavioral rules to those who otherwise might hold more complex or vague forms of faith. Utilizing good marketing practices and modern technologies, Evangelicals have built communications empires that broadcast their message around the globe. As traditional communities have fragmented, Evangelicals have built church communities that offer not only meaning but also friendship, counseling, legal advice, leisure activities, and mutual aid. These benefits come with conditions attached. Social services are offered to outsiders first and foremost as a means of winning converts. This means that testimonials, Bible studies and so forth are a part of the package. Evangelicals call this witnessing or sharing the faith. Without this piece, which offers the hope of salvation to those who are otherwise lost in sin, social services (from an Evangelical perspective) have little value. 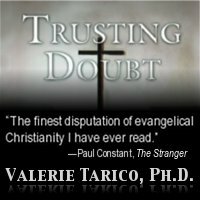 In fact contact with non-believers in general has little value, and when Evangelicalism is at its worst, the non-believers themselves have little value. Evangelicals, as they like to say, prefer to be "in this world but not of this world." They see themselves as a people apart. The most devout buy their books almost exclusively at Christian bookstores. A small but significant minority home-school their children if they can’t afford private Christian schools. Many socialize only with members of their own church communities or people they meet through related organizations. In spite of their growing influence Evangelicals often see themselves as an embattled minority. And because many don’t believe that other Christians are Christians, they see Christianity per se as an embattled minority religion. On a plane in India, I once sat in front of an American teenager who was part of a youth missions trip. He was talking earnestly to an adult companion about how hard it had been to approach young Indians, interrupting their conversations and activities to tell them the Good News: that they, too, could be saved by Jesus Christ. The young man speculated: "What if someone threatened me? What if they even threatened to kill me? Would I have the courage to face death in order to carry God’s message to the world?" I remembered, as an earnest Evangelical youth, asking myself these very same questions. The adult mentor might have reassured him. (History suggests that Christianity has been lethal to missionaries far less often that it has been lethal to those on the receiving end of the message.) Instead, the mentor responded as such mentors often do, with stories of martyrs and language of warfare that both affirmed the rightness of their mission and cultivated a sense of imminent threat. Otherness and threat, political power, and moral certainty. It is no surprise that this combination is generating anxiety among non-believers and non-Evangelical Christians. In the past, when political power has accrued to a Christian orthodoxy that demands exclusive allegiance, the result has often been lethal for both outsiders to the faith and Christians who don’t hold the dominant view. Is such an environment in the making? "What is Evangelicalism?" a bewildered friend asked recently. "How does Evangelicalism relate to fundamentalism?" These questions are not easy to answer. The term Evangelical has been around since the Reformation, and its meaning has varied. In modern terms, Evangelicalism is a kind of Christianity that structures itself around one particular, ahistorical interpretation of the Bible. From the Bible, which is taken literally and accorded absolute moral authority, Evangelicals justify a set of doctrines that govern day-to-day life in realms ranging from prayer and parenting to civic duties. These doctrines are described in detail in Chapter 2, and their implications fill the remainder of this book. Fundamentalism is a movement that arose within Protestant Christianity in the late 19th and early 20th Centuries, largely in reaction to modernism. The name comes from a set of essays called The Fundamentals that were published between 1910 and 1915. These essays were intended to combat the ways that theology was changing in response to scholarship in archaeology, linguistics, anthropology, psychology and biology. They reaffirmed the traditional Christian doctrines that form the basis of modern Evangelicalism. Fundamentalism and Evangelicalism are closely related offspring of traditional Protestant orthodoxy. However, the term fundamentalism is now used to embrace a variety of absolutist approaches to religious faith both inside and outside of Christianity. Few Christians call themselves fundamentalist. Many call themselves Evangelical. Those who do, hope and pray that others will join them. In their eyes, there is no alternate path to God and, ultimately, no other form of goodness matters. This means that, as context and culture allow, Evangelicals will continue to speak out, both in the public sphere and over coffee. What should you say when a dear friend or family member expresses concern for your soul and offers you a path to Salvation? How should you respond to Evangelical advocacy in your community, your workplace, your school, or your government? The answers depend in large part on your own values and spiritual identity. But in order to form those answers, it helps to have a clear understanding of the core teachings of the Evangelical movement, the implications of those doctrines, and the threats they can pose to love and truth.